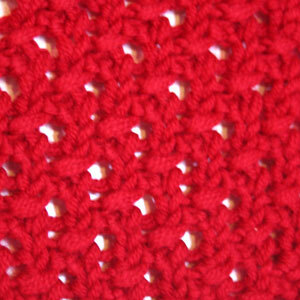 I am so glad I started my Stitch Pattern Library project a while ago... The initial idea was to sort out my notes and swatches, but now I am fascinated with amazing textures different stitch patterns create. The pattern I want to share today has a very nice texture, it's a bit lacy, but not too transparent and it's easy to knit if you follow the instructions or chart. Here are photos of right and wrong sides of the pattern. 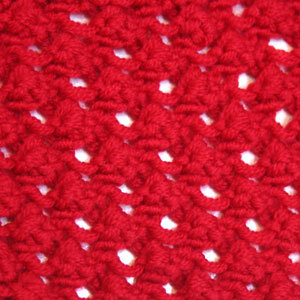 You can find detailed instructions and chart at http://www.knitca.com/.